Located in Mitte, this hostel is within 3 mi (5 km) of Victory Column, German Chancellery and Berlin Zoological Garden. Reichstag Building and Brandenburg Gate are also within 3 mi (5 km). Turmstrasse U-Bahn is 7 minutes by foot and Birkenstrasse U-Bahn is 10 minutes. Located in Mitte, this hostel is within a 10-minute walk of Torstrasse, Friedrichstrasse and Hackescher Markt. Berlin Wall Memorial and TV Tower are also within 1 mile (2 km). Rosenthaler Place U-Bahn is only a 3-minute walk and Weinmeisterstrasse U-Bahn is 9 minutes. 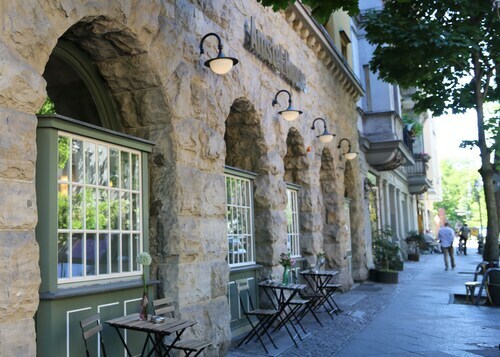 Located in Prenzlauer Berg, this hotel is within a 15-minute walk of Torstrasse, Alexanderplatz and TV Tower. Hackescher Markt and DDR Museum are also within 1 mile (2 km). Rosa Luxemburg Place U-Bahn is 9 minutes by foot and Senefelderplatz U-Bahn is 10 minutes. 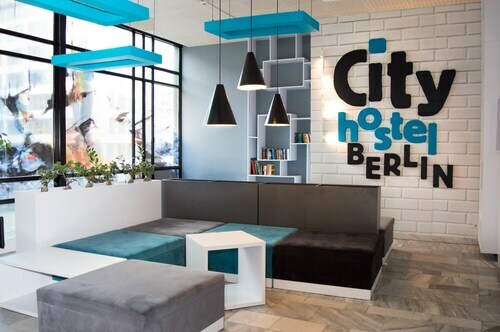 Located in Mitte, this hotel is within a 10-minute walk of Torstrasse, Alexanderplatz and TV Tower. Hackescher Markt and DDR Museum are also within 15 minutes. Rosa Luxemburg Place U-Bahn and Alexanderplatz Station are within a 5-minute walk. 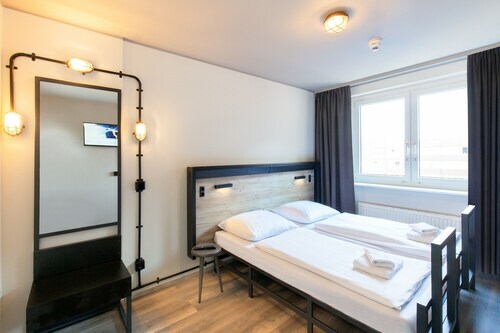 This family-friendly Berlin hotel is located in the business district, within 1 mi (2 km) of Museum for Contemporary Art, Reichstag Building and Friedrichstrasse. Brandenburg Gate and Friedrichstadt-Palast are also within 2 miles (3 km). Central S-Bahn is 9 minutes by foot and Berlin Central Station is 9 minutes. 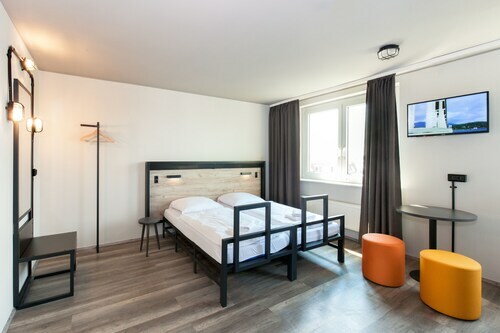 Located in Mitte, this hostel is within a 10-minute walk of Friedrichstrasse, Checkpoint Charlie and Gendarmenmarkt. Checkpoint Charlie Museum and Mall of Berlin are also within 10 minutes. Mohrenstrasse U-Bahn and City Center U-Bahn are within a 5-minute walk. 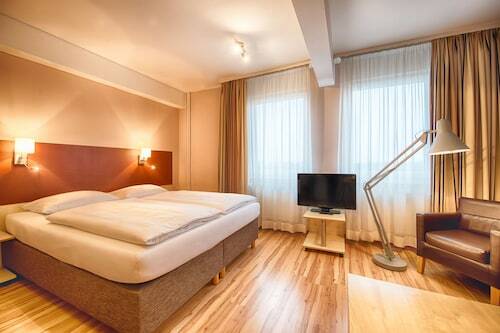 Located in Mitte, this hotel is within 1 mile (2 km) of Oberbaum Bridge, Alexanderplatz and Mercedes-Benz Arena. East Side Gallery and TV Tower are also within 2 miles (3 km). Heinrich-Heine-Street U-Bahn is 9 minutes by foot and Jannowitzbrücke Station is 12 minutes. 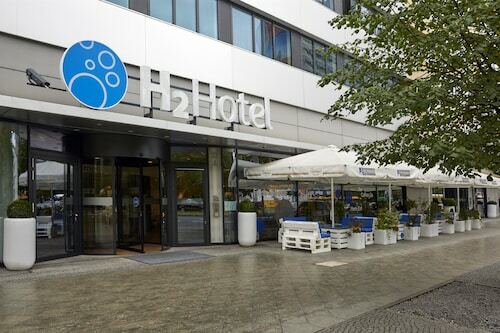 This hotel is located in Berlin (Charlottenburg-Wilmersdorf), near the airport, Schaubuehne, ICC Berlin and Kurfürstendamm. Also nearby are Theatre of the West and Department Store of the West.